The information presented in this article is designed to be used for educational purposes and is not designed to be used to diagnose or treat any condition or behavior. If someone is suspected of having an eating disorder, the person should be evaluated and treated by a qualified health professional. The American Psychiatric Association describes an eating disorder as a behavior that is a disruption of “normal” or “typical” dietary habits. This disruption can include eating very small amounts of food, eating almost no food at all, or eating very large amounts of food in short periods of time. Eating disorders interfere with the intake, digestion, and elimination of sources of energy a person takes into the body. In order for the behavior to be classified as a disorder, it must cause the person distress or somehow interfere with the functioning of the person. This may be in relation to one’s ability to work, go to school, maintain social relations, or otherwise function in a relatively normal manner (“normal” relates to a range of particular behaviors). In addition, the behavior cannot be the function of some other mental illness, due to the use of drugs, or the result of another medical condition and must violate the person’s cultural norms regarding food intake. The two most commonly recognized eating disorders are anorexia and bulimia, which we have covered in depth in other articles. This article will concentrate on other types of eating disorders and their relation to substance abuse and addictive behaviors. In addition to anorexia and bulimia, there are several other eating disorders listed in the Diagnostic and Statistical Manual of Mental Disorders-5 (DSM-5), which is the manual used to diagnose psychological disorders or mental illnesses in the United States. These disorders are listed under the category Eating and Feeding Disorders. Pica is an eating disorder where an individual consumes nonnutritive, nonfood substances, for a period of at least one month (most often this behavior occurs for a much longer period of time). Pica occurring in adults is most often noted in the presence of some type of intellectual disability or other mental health disorder, such as autism, schizophrenia, obsessive-compulsive disorder, or another disorder. Pica also occurs in children. There is no established cause for pica even though there have been several explanations to describe potential causes. One such older explanation involves the notion that pica is an expression of an addiction or addictive behavior. This older explanation has received some renewed popularity due to TV shows that explore strange eating habits of individuals (many of whom would probably qualify for a diagnosis of pica) and present them as addictions. However, the current explanations for pica suggest it may be related to a manifestation of an obsessive-compulsive disorder, which is more consistent with the observation that pica in adults is most often associated with intellectual disabilities or other mental illnesses. Other than the potential that pica represents a form of addiction in adults, there appears to be no significant association in the research literature that discusses adults having pica and a comorbid (co-occurring) substance use disorder (substance abuse or addiction) unless, of course, the substance the person eats contains some type of drug or has addictive properties. Pica is typically treated with strategies that use positive reinforcement to train the individual to eat edible foods and not to eat items that are nonnutritive or not edible. In individuals who have severe intellectual disabilities, any form of treatment may be very difficult to implement. Individuals may have to be monitored very closely so they cannot have access to nonfood items that they will attempt to eat. Individuals with rumination disorder repeatedly regurgitate food that has been eaten. The regurgitated food may be re-chewed, swallowed again, or spit out. This behavior must occur for at least a period of one month and must not be associated with a specific medical condition that would cause such behavior, another eating disorder (specifically anorexia or bulimia where individuals may regurgitate food), or occur in the context of another mental health disorder (e.g., throwing up as a consequence of having an anxiety disorder). Like pica, it appears that this disorder is most often associated with an intellectual disability. There does not appear to be a significant association between this disorder and addiction. Avoidance/restrictive food intake disorder (often abbreviated as ARFID) is a new diagnosis that attempts to describe a disorder where the symptoms are not consistent with other traditional eating disorders but still manifest as significant stress regarding a person’s food intake. This disorder differs from anorexia in that individuals with anorexia display a very distorted self-image regarding their bodies, such that they always perceive themselves as being overweight, even if they are painfully thin. 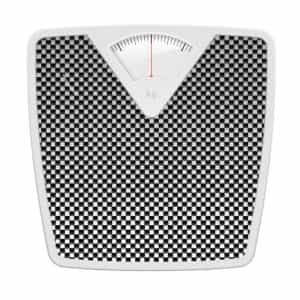 Individuals with AFRID do not display this distorted self-image. As always, the behavior must produce significant stress, and it cannot be better explained by another mental health disorder or medical condition. It is not better explained by some environmental event, such as a lack of food, and it is not related to a cultural practice regarding eating behavior. If this disorder appears in childhood, the individual may go on to develop another eating disorder, such as anorexia or bulimia. This disorder does not appear to be associated with a significant potential towards substance abuse or addiction. Rumination disorder can be treated with a combination of medications, to relieve any discomfort in the throat and stomach due to frequent vomiting, and with behavioral therapy that teaches individuals to recognize when they are about to regurgitate and to control and relax themselves to avoid throwing up. Like treatment for pica, if an individual has a severe intellectual disability, treatment can be very difficult to implement. Binge eating disorder (BED) is characterized by recurrent episodes of binge eating that occur on average at least once a week for a total of three months. In this context, binge eating is currently defined as eating an amount of food in a particular time period that is significantly larger than most people would eat in a similar period of time and under similar circumstances. The context or environment wherein the person is eating also defines the particular behavior as being a binge eating episode or just a large meal. Typically, individuals who binge eat experience a feeling that they lack control over their eating during that episode, although this is not necessary for diagnosis of BED. The person eats at a much more rapid pace than normal. The person eats to the point of uncomfortable fullness. The person eats large amounts of food despite not feeling physically hungry. The person eats alone due to the embarrassment experienced by the amount of food being eaten. The person feels disgusted, depressed, or guilty after the binge eating episode. Mild BED would be present if the person experienced 1-3 binging episodes per week. Moderate BED would be diagnosed if a person experienced 4-7 binge eating episodes per week. Severe BED consists of 8-13 bingeing episodes per week. Extreme BED would be diagnosed if the individual had 14 or more bingeing episodes per week. BED appears to occur in both normal weight and overweight or obese individuals. BED appears to be strongly associated with individuals who are overweight or obese and seek treatment for their weight issue; however, most people who would qualify as being obese do not appear to engage in recurrent binge eating episodes based on the clinical definition of binge eating. The disorder appears to be diagnosed twice as often in females than in males and occurs equally often in females of all ethnic groups. Increased medical issues that can include issues associated with weight gain, cardiovascular issues, etc. It appears that the most common types of substance use disorders that are comorbid with BED include amphetamine or stimulant use disorders (most likely taken as appetite suppressants or diet aids) and alcohol use disorders. BED and binge eating in general appear to be linked to issues with impulse control or monitoring one’s behavior. These individuals may struggle to check their behavior and may be more susceptible to cues that initiate their eating behavior, such as pictures of food, the smell of food, seeing food, and so forth. These cues may stimulate a desire to eat even if the individual does not physically feel hungry. 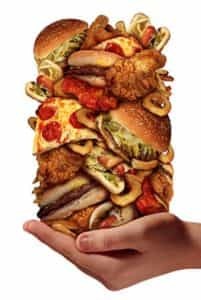 Thus, some researchers suggest that bingeing behavior represents an issue with controlling one’s impulses regarding food, but perhaps not regarding some other behaviors. This issue with impulse control may also be related to drug or alcohol abuse in these individuals, as it appears that individuals with addiction or drug abuse issues may struggle with delaying gratification and also with controlling certain types of impulsive behaviors. The research is not particularly clear about how the mechanisms of impulse control in the brain are related to substance use disorders and comorbid bingeing behavior; however, a study in the European Eating Disorders Review found that an individual’s level of impulsivity differentiated the person from individuals with eating disorders. Lower impulse control was associated with a greater probability of having an eating disorder. In addition, lower impulse control was associated with a tendency to engage in binge eating behavior in the eating disorder group. Thus, it appears that difficulty controlling certain aspects of one’s behavior or urges may be a common factor to individuals who binge eat and engage in substance abuse. However, further research needs to explore exactly how these concepts can be used to diagnose and treat individuals with these issues. One issue with research like this is that impulse control can be defined a number of different ways, and consistent results are not observed across all studies due to these differing definitions. Detox procedures and protocols; implemented first if the substance use disorder involves a drug that has a high probably of physical dependence, such as alcohol, heroin, benzodiazepines, etc. These disorders may or may not be associated with substance abuse or potential addiction, but in cases where there are diagnoses of atypical anorexia or atypical bulimia, there might be a similar propensity for these individuals to engage in substance abuse. In addition, treatment protocols to address these types of conditions would most likely be similar to the treatment protocols for their related counterpart disorder. Several other sources describe eating behaviors that are not considered to be formal disorders by the American Psychiatric Association but may be observed in clinical practice. It is important to emphasize that these are not formal diagnostic categories of eating disorders, and these descriptions would need substantial research evidence to legitimize the behaviors as actual eating disorders. Some of the disorders that influence eating below are actual medical conditions or genetic disorders that result in alterations of eating behaviors; however, they are not formally diagnosed as eating disorders. The information here is presented for educational purposes and not designed to ensure that these are actual eating disorders or that they should be included in the American Psychiatric Association’s listing of formal eating disorders. Most of these behaviors are not empirically linked to a greater probability of having a substance abuse issue or an addiction, although this certainly may occur in some individuals with these conditions. Obesity is not an eating disorder but a medical condition, recently given disease status by the American Medical Association. It determined by a person’s body mass index, and it results from a combination of genetic and environmental factors. Prader-Willi syndrome is a genetic disorder that results in a shorter stature, intellectual disability, and obesity. Individuals with this disorder constantly feel hungry and may eat large amounts of food if unchecked. This is a medical condition (a genetic disorder) and not an eating disorder. Nocturnal sleep-related eating disorder is a syndrome not described in DSM-5, but it is described in some other sources. The difference between this disorder and the aforementioned nighttime eating disorder is that people with this disorder reportedly eat food while they are still asleep (they sleepwalk and eat food), whereas people with nighttime eating disorder are awake (they wake up and eat food at night). It is unclear if this behavior is just another manifestation of nighttime eating disorder, may be a separate eating disorder, or would be better classified as a sleep disorder and not an eating disorder. Orthorexia is a behavior that is often described as a potential eating disorder but is not described in DSM-5. The term has been around since 1996, and it is frequently seen on online eating disorder informational sites. This term represents an obsession with “healthy eating” that actually leads to unhealthy behaviors, such as extreme calorie counting or limiting certain types of foods; health problems, such as extreme weight loss; and other negative consequences. This description is designed to designate an obsession with health that results in the exact opposite of healthy behavior and is not meant to be used to describe individuals who are concerned about eating healthy food, getting sufficient amounts of vitamins and other nutrients, and living healthy lifestyles. Currently, this is not considered to be formal eating disorder; thus, the term is not used in formal clinical descriptions. Eating disorder not otherwise specified (EDNOS) is an older designation used in the earlier editions of the DSM that is no longer used as a diagnostic category. This category was used to describe potential eating problems that did not quite fit the criteria of the eating disorders described. DSM-5 does offer a new and similar classification (other specified feeding or eating disorder, which is mentioned above) and a label that is designated as unspecified feeding or eating disorder that can be used for people who have eating problems that lead to significant distress or impairment but information regarding a specific diagnosis of a specific eating disorder may not be available to the clinician, or there may not be time to do a formal assessment. Unspecified feeding or eating disorder is not a formal diagnosis by itself.